Robert Estrin is a champion of music technology and historical instruments with millions of YouTube views which enrich pianists and music lovers worldwide. He comes from an extended family of musicians. He is a second generation concert pianist. He and his sister, pianist Coren Mino both studied with their father, concert pianist Morton Estrin who also taught Billy Joel as well as countless concert artists and teachers. 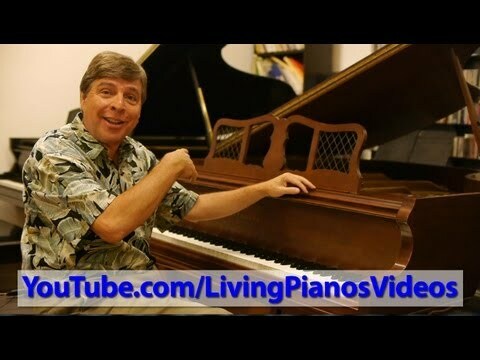 Living Pianos is the world’s first online piano store with a showroom open to the public on Main Street in Santa Ana, California. They offer a large collection of restored, top-tier American and European pianos such as Steinway, Yamaha, Baldwin, Mason & Hamlin, Kawai as well as new pianos. There is also a collection of historical keyboards Estrin uses in his live performances. Living Piano: Journey Through Time: Historic Concert Experience grew out of a desire to expose the joys of classical music to a wider audience. In period costumes, Estrin explores the history of the piano in musical performance. He also presents prodigy students in period costumes performing on historical instruments from his collection. Robert Estrin studied piano and French horn at the Manhattan School of Music in New York City, as well as the Mozarteum in Salzburg, Austria. He also has a degree in piano performance from Indiana University. He owned a recording studio for many years composing and producing albums as well as music for film and television. Robert’s extended family are almost all musicians. His daughter Jennifer Estrin is a violinist with the Portland Opera as well as the Portland Ballet and performs regularly with the Oregon Symphony. He and his wife, flutist Florence Estrin perform as a duo including Florence Family of Flutes. Florence performs on flutes ranging in size from the piccolo to large flutes rarely heard in concert. Robert Estrin is a frequent guest artist of many concert series at art centers, colleges, universities, museums, symphony orchestras as well as conventions and Music Teachers’ Associations. His passion for performing the piano and educating people is felt by millions in his live performing as well as his online music lessons. 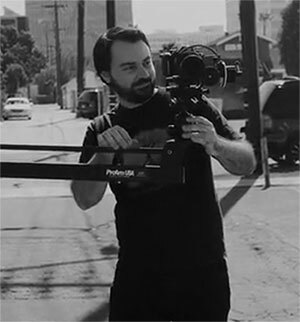 Mike has a BFA in Film Production from Chapman University and over a decade of experience in video production and advertising that brings a valuable skill-set to the Living Pianos family.